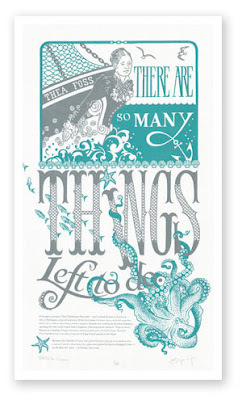 This is their latest collaboration, and one that I particularly relate to - a broadside depicting a quote by feminist Thea Foss, also a one-time Tacoma resident. We breed our women with a certain kind of independence and strength here. Buy your broadside here, or become a subscriber to the Feminist Broadsides for a discount, and read all about the process on Chandler's blog - really inspiring!